Horace Sampson Lyne MBE (31 December 1860 – 1 May 1949) was a Welsh international rugby union forward who played club rugby for Newport Rugby Football Club. He won five caps for Wales. After retiring from play, he became the longest serving president of the Welsh Rugby Union, and was one of six representatives that formed the International Rugby Board. Lyne played most of his club rugby with Newport, spending 8 seasons there between 1878 and 1885. He captained Newport in his final full season in 1883/1884. Lyne was first selected for Wales during the 1883 Home Nations Championship in an away match at Raeburn Park to Scotland. It was the first time the two teams had played each other, and Wales, under the captaincy of Charles Lewis, lost by three goals to one. Lyne played in the next four Welsh games, including all three games of the 1884 Championship, and the opening game of the 1885 Championship against England at St Helens in Swansea. He retired from playing in 1885, but continued his association with the game when he refereed the match between England and Ireland in 1885. While still a player, Lyne took a clear interest in the affairs of Welsh rugby; and on his retirement from play, began applying for administrative posts. In 1887, Lyne and WRU secretary Richard Mullock became the Welsh representatives to the International Board, the body set up to regulate the sport in Britain. Lyne served on the board of the IB, which later became the International Rugby Board, from 1887 to 1938. 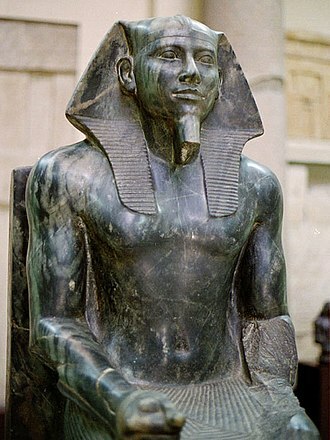 He was in demand as an administrator, and was known to be very fair-minded. He was also a progressive thinker, and voiced concerns about the North of England breaking away from the IRB years before the formation of rugby league. As the chair of the Welsh Football Union, he met with Neath secretary Walter E. Rees, with whom he later ran the WRU for near four decades. In 1892, Lyne was elected one of four vice-presidents of the WRU, with joint responsibilities for Cardiff and the East area. During the same meeting, Mullock, who was extremely unpopular with the Welsh rugby clubs, was replaced as secretary by William Gwynn. In 1906, Lyne replaced Sir John T. Llewellyn as the President of the Welsh Rugby Union—a role he held until 1947, making him the longest serving president. He was succeeded by Sir David Rocyn-Jones. Lyne was also the Chairman of Newport Athletic Club from 1894 to 1949. Parry-Jones, David (1999). Prince Gwyn, Gwyn Nicholls and the First Golden Era of Welsh Rugby. Bridgend: seren. ISBN 1-85411-262-7. Smith, David; Williams, Gareth (1980). Fields of Praise: The Official History of The Welsh Rugby Union. 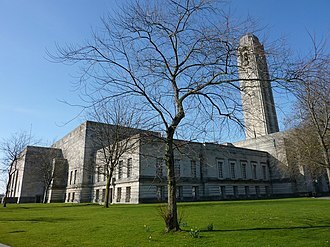 Cardiff: University of Wales Press. ISBN 0-7083-0766-3. ^ Newport RFC player profile Archived 2011-06-17 at the Wayback Machine. ^ Smith (1980), pg 469. ^ Smith (1980), pg 50. ^ Smith (1980), pg 51. ^ Smith (1980), pg 78. St Helens Rugby and Cricket Ground is a sports venue in Swansea, Wales and operated by the City and County of Swansea Council. Used mainly for rugby union and cricket, it has been the ground of Swansea RFC. In rugby union, St Helens was the venue for the first ever match of the Wales national team in 1882. 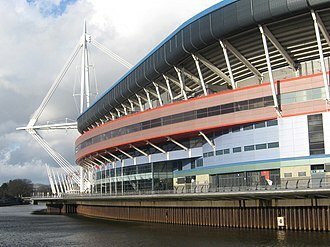 It continued to be used regularly by Wales, often for the Five Nations Championship, until 1954, more recently, the ground has been used by the Wales womens team. 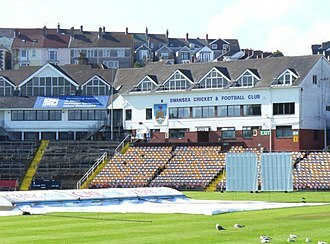 Glamorgan County Cricket Club have regularly used St Helens as an outground since 1921, the ground has staged two One Day Internationals, England against New Zealand in 1973, and a 1983 World Cup match between Pakistan and Sri Lanka. 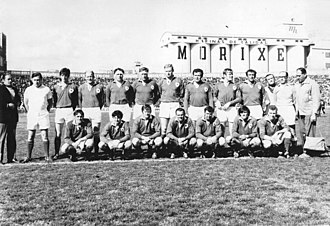 St Helens has staged international matches in two other sports, in rugby league, Wales played thirteen matches at the ground between 1945 and 1978, two of which were part of the 1975 World Cup tournament. A football international between Wales and Ireland took place at St Helens in 1894, since the ground opened in 1873 it has been the home of the Swansea Rugby Football Club, and the Swansea Cricket Club. 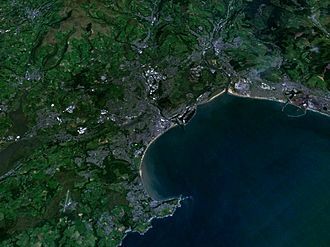 In 2005, the venue could hold an audience of 10,500 seated before it was re-developed, the famous east stand, which had provided cloisters over part of Oystermouth Road, has since been demolished and replaced with a metallic stand unloved by locals. The tallest flood light stand in Europe is in St. Helens Ground and this was to accommodate a new car park with 39 spaces for the Patti Pavilion. The first home international in the history of Welsh rugby was played at St Helens on 16 December 1882, the ground was the scene of New Zealands first victory over Wales in 1924. On 10 April 1954, St. Helens staged its last international until a Test match between Wales and Tonga was played at the ground in 1997. Swansea Corporation discussed raising the capacity to 70,000 or even 82,000, the ground has been used to host three Welsh womens internationals. The first womens international at Swansea was in April 1999 against England, Swansea RFC defeated New Zealand 11-3 at St Helens on 28 September 1935, becoming the first club side to beat the All Blacks. Rugby league football, usually called rugby league, is a full contact sport played by two teams of thirteen players on a rectangular field. One of the two codes of football, it originated in England in 1895 as a split from the Rugby Football Union over the issue of payments to players. Its rules gradually changed with the aim of producing a faster, in rugby league, points are scored by carrying the ball and touching it to the ground beyond the opposing teams goal line, this is called a try, and is the primary method of scoring. 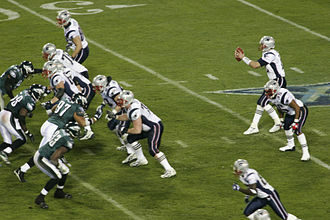 The opposing team attempts to stop the side scoring points by tackling the player carrying the ball. 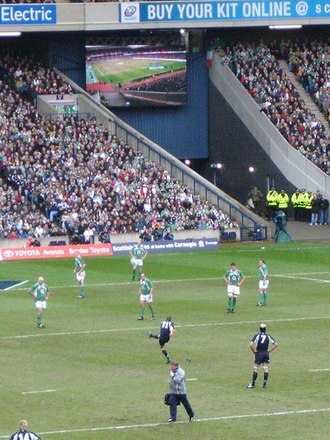 In addition to tries, points can be scored by kicking goals, after each try, the scoring team gains a free kick to try at goal with a conversion for further points. 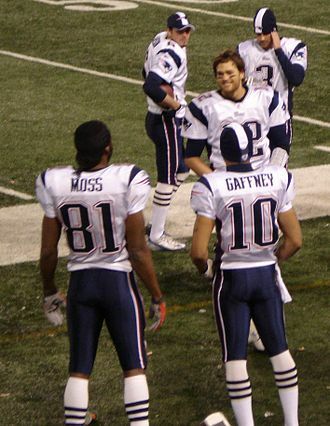 Kicks at goal may be awarded for penalties, and field goals can be attempted at any time. Rugby league is a sport in Northern England, the states of Queensland and New South Wales in Australia, New Zealand. The European Super League and Australasian National Rugby League are the club competitions. Rugby league is played internationally, predominantly by European and Pacific Island countries, the first Rugby League World Cup was held in France in 1954, the current holders are Australia. The first of these, the Northern Rugby Football Union, was established in 1895 as a faction of Englands Rugby Football Union. Similar breakaway factions split from RFU-affiliated unions in Australia and New Zealand in 1907 and 1908, renaming themselves rugby football leagues, in 1922, the Northern Union changed its name to the Rugby Football League and thus over time the sport itself became known as rugby league football. In 1895, a schism in Rugby football resulted in the formation of the Northern Rugby Football Union, within fifteen years of that first meeting in Huddersfield, more than 200 RFU clubs had left to join the rugby revolution. In 1897, the line-out was abolished and in 1898 professionalism introduced, in 1906, the Northern Union changed its rules, reducing teams from 15 to 13 a side and replacing the ruck formed after every tackle with the play the ball. Newport Rugby Football Club is a Welsh rugby union club based in the city of Newport, South Wales. They presently play in the Welsh Premier Division, Newport RFC are based at Rodney Parade situated on the east bank of the River Usk. Due to the regionalisation of Welsh rugby in 2003 Newport RFC is now a club to Newport Gwent Dragons regional team. 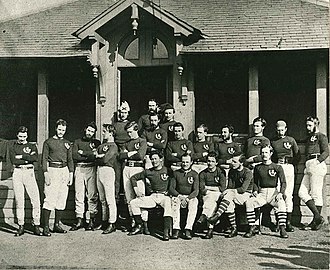 Newport supplied over 150 players to the Wales national team and international players to England, Ireland, South Africa, Czech Republic, Newport’s early success was remarkable, winning every single match in their first four seasons between 1875 and 1879. 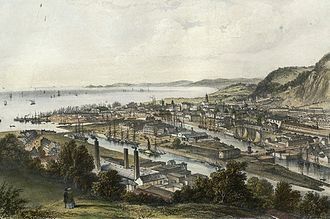 They were successful in other tournaments winning the first two South Wales Cup competitions, the club’s strength was reflected at international level, providing more players to the Welsh national team than any other club in the nineteenth century, including four captains. In 1881 Newport was one of the clubs present at the forming of the Welsh Rugby Football Union. Their dominance led Newport’s club secretary, Richard Mulloch to arrange a match against the English domestic champions Blackheath Rugby Club, with a record attendance of 5,000 spectators Newport were out-classed by their opponents, losing four goals and eight tries to nil. However, Newport had played two games in the five days and Blackheath brought in outside players to bolster their squad. In October 1879 Newport played Cardiff RFC in a game at Rodney Parade. In 1887, Newport player Charlie Newman was given the captaincy of the Welsh national team, in 1887 Newport player Tom Clapp was given the Wales captaincy and in 1888 he led the first Welsh side to beat Scotland, a team that included Newport players Powell and Gould. During the 1891–92 season, under captain Tom Graham Newport went unbeaten, winning 29 games, Graham brought a new professional attitude to the team, introducing weekly gym training and an avoidance of alcohol. In 1912 Newport hosted the touring South Africa national team, invincible in 1922–23 Welsh Club Champions 1920,1923. Provided 5 Welsh,1 English and 1 Irish captains, golden era of Wetter, Griffiths, Bunner Travers etc. Golden era of Jones, Thomas, Price, beat Australia 1957, NZ1963, SA1969, Tonga 1974. Welsh Club Champions 1951,1956,1962,1969, won Welsh Merit Table and Anglo-Welsh Merit Table. The International Standard Book Number is a unique numeric commercial book identifier. An ISBN is assigned to each edition and variation of a book, for example, an e-book, a paperback and a hardcover edition of the same book would each have a different ISBN. The ISBN is 13 digits long if assigned on or after 1 January 2007, the method of assigning an ISBN is nation-based and varies from country to country, often depending on how large the publishing industry is within a country. The initial ISBN configuration of recognition was generated in 1967 based upon the 9-digit Standard Book Numbering created in 1966, the 10-digit ISBN format was developed by the International Organization for Standardization and was published in 1970 as international standard ISO2108. Occasionally, a book may appear without a printed ISBN if it is printed privately or the author does not follow the usual ISBN procedure, this can be rectified later. Another identifier, the International Standard Serial Number, identifies periodical publications such as magazines, the ISBN configuration of recognition was generated in 1967 in the United Kingdom by David Whitaker and in 1968 in the US by Emery Koltay. The 10-digit ISBN format was developed by the International Organization for Standardization and was published in 1970 as international standard ISO2108, the United Kingdom continued to use the 9-digit SBN code until 1974. The ISO on-line facility only refers back to 1978, an SBN may be converted to an ISBN by prefixing the digit 0. For example, the edition of Mr. J. G. Reeder Returns, published by Hodder in 1965, has SBN340013818 -340 indicating the publisher,01381 their serial number. This can be converted to ISBN 0-340-01381-8, the check digit does not need to be re-calculated, since 1 January 2007, ISBNs have contained 13 digits, a format that is compatible with Bookland European Article Number EAN-13s. An ISBN is assigned to each edition and variation of a book, for example, an ebook, a paperback, and a hardcover edition of the same book would each have a different ISBN. The ISBN is 13 digits long if assigned on or after 1 January 2007, a 13-digit ISBN can be separated into its parts, and when this is done it is customary to separate the parts with hyphens or spaces. There is the related British Empire Medal, whose recipients are affiliated with, but not members of, the order. Recommendations for appointments to the Order of the British Empire were at first made on the nomination of the United Kingdom, the self-governing Dominions of the Empire, nominations continue today from Commonwealth countries that participate in recommending British honours. Most members are citizens of the United Kingdom or the Commonwealth realms that use the Imperial system of honours and awards. 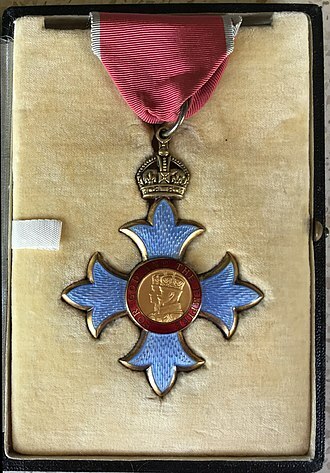 Honorary knighthoods are appointed to citizens of nations where the Queen is not head of state, honorary appointees are, referred to as Sir or Dame – Bill Gates or Bob Geldof, for example. In particular, King George V wished to create an Order to honour many thousands of those who had served in a variety of non-combatant roles during the First World War, when first established, the Order had only one division. 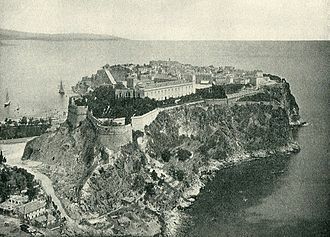 However, in 1918, soon after its foundation, it was divided into Military. 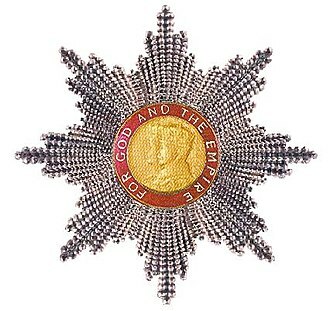 The Orders motto is For God and the Empire, at the foundation of the Order, the Medal of the Order of the British Empire was instituted, to serve as a lower award granting recipients affiliation but not membership. In 1922, this was renamed the British Empire Medal, in addition, the BEM is awarded by the Cook Islands and by some other Commonwealth nations. 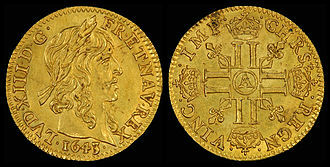 The British monarch is Sovereign of the Order, and appoints all members of the Order. The next most senior member is the Grand Master, of whom there have been three, Prince Edward, the Prince of Wales, Queen Mary, and the current Grand Master, the Duke of Edinburgh. The Order is limited to 300 Knights and Dames Grand Cross,845 Knights and Dames Commander, and 8,960 Commanders. There are no limits applied to the number of members of the fourth and fifth classes. Foreign recipients, as members, do not contribute to the numbers restricted to the Order as full members do. Though men can be knighted separately from an order of chivalry, women cannot, and so the rank of Knight/Dame Commander of the Order is the lowest rank of damehood, and second-lowest of knighthood. Because of this, Dame Commander is awarded in circumstances in which a man would be created a Knight Bachelor, for example, by convention, female judges of the High Court of Justice are created Dames Commander after appointment, while male judges become Knights Bachelor. The England national rugby union team represents England in rugby union. They compete in the annual Six Nations Championship with France, Scotland and they are ranked second in the world by the International Rugby Board as of 20 June 2016. England were the first, and to date, the team from the northern hemisphere to win the Rugby World Cup. They were runners-up in 1991 and 2007, the history of the team extends back to 1871 when the English rugby team played their first official Test match, losing to Scotland by one goal. England dominated the early Home Nations Championship which started in 1883, following the schism of rugby football in 1895, England did not win the Championship again until 1910. England first played against New Zealand in 1905, South Africa in 1906, England was one of the teams invited to take part in the inaugural Rugby World Cup in 1987 and went on to appear in the final in the second tournament in 1991, losing 12–6 to Australia. Following their 2003 Six Nations Championship Grand Slam, they went on to win the 2003 Rugby World Cup – defeating Australia 20–17 in extra time and they again contested the final in 2007, losing 15–6 to South Africa. England players traditionally wear a shirt with a Rose embroidered on the chest, white shorts. Their home ground is Twickenham Stadium where they first played in 1910, the team is administered by the Rugby Football Union. Four former players have been inducted into the International Rugby Hall of Fame, Englands first international match was against Scotland on Monday 27 March 1871. Not only was this match Englands first, but it proved to be the first ever rugby union international. 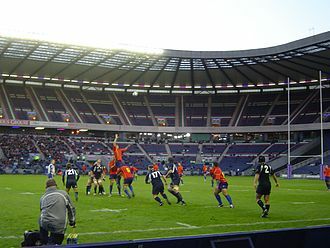 Scotland won the match by a goal and a try to a try, in front of a crowd of 4,000 people at Raeburn Place, Edinburgh. A subsequent international took place at the Oval in London on 5 February 1872 which saw England defeat Scotland by a goal, in those early days there was no points system, it was only after 1890 that a format allowing the introduction of a points system was provided. Up until 1875 international rugby matches were decided by the number of goals scored, in 1875, England played their first game against the Irish at the Oval, winning by one goal, one drop goal and one try to nil, the match was Irelands first ever Test. William Gwynn was a Welsh international rugby union forward who played club rugby for Swansea and would become secretary of the Welsh Rugby Union. Gwynn was a sportsman and as well as his success on the rugby pitch he player cricket for Swansea, of which he became vice-president. Gwynn had played football and had captained Battersea College XI through two undefeated seasons. He would become a referee and would officiate the very first football game between Swansea Town and Cardiff City, gould played most of his club rugby with Swansea, following his elder brother David into the team. He joined the club in 1880 and would captain the team in the 1884/85, Gwynn was first selected to represent Wales in the opening game of the 1884 Home Nations Championship, against England. Under the captaincy of Charlie Newman, Wales lost to the English, Gwynn was reselected for the next two Welsh international games, the first against Scotland, where he was partnered with Newman, and Ireland with new half-back partner William Stadden. Charlie Newman was a Welsh international three-quarter who played club rugby for Newport. He was awarded ten caps for Wales and captained the team on six occasions, an original member of the Newport squad he captained the team in the 1882/83 season. Newman was born Newport in 1857 to Edwin, an upholsterer and he was educated at Monmouth Grammar School, graduating to St Johns College, Cambridge in 1880. He was awarded his BA in 1884 and in 1887 collected his MA, in 1883 he was ordained a deacon at Durham Cathedral, and in 1885 took his orders as a priest. Newman was first the Curate of Tanfield in Durham from 1883-1887 before becoming the Curate of Low Fell a position he held from 1887 to 1893. In 1893 he left Low Fell to take up the position of rector at Hetton-le-Hole, Newman played matches arranged by the South Wales Football Club, before the creation of the Welsh Rugby Union. In 1876 he was part of a team that was made up of Welsh player that faced Clifton, Newman was selected to play in the very first Welsh international, against England in 1881. Sir John Talbot Dillwyn-Llewellyn, 1st Baronet was a Welsh Conservative Member of Parliament who was notable for his links to Welsh sports. 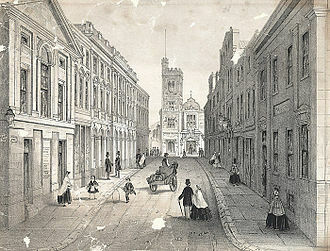 He was educated at Eton and Christ Church, llewellyn was High Sheriff of Glamorgan in 1878 and Mayor of Swansea in 1891. In March 1888, Llewelyn contested the Gower by-election as a Conservative candidate, the Liberal ranks had been affected by divisions over the choice of candidate and Llewelyn ran a strong campaign. Unusually for a Conservative candidate he held meetings in nonconformist chapels, including one at Zoar, Llewelyn polled well although narrowly defeated by David Randell. In 1889 he was elected as one of the first members of Glamorgan County Council and was made an alderman. He was created a baronet, of Penllergaer in Llangyfelach and of Ynys-y-gerwn in Cadoxton juxta Neath both in the County of Glamorgan, on 20 March 1890. In 1892, following the death of his uncle, Lewis Llewelyn Dillwyn, Llewelyn was adopted as Conservative candidate for the Swansea Town constituency but was defeated by R. D.
Rugby union, known in some parts of the world simply as rugby, is a contact team sport which originated in England in the first half of the 19th century. 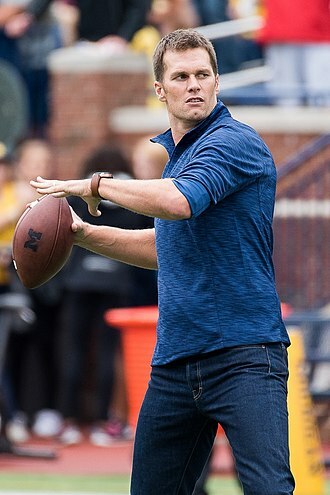 One of the two codes of football, it is based on running with the ball in hand. 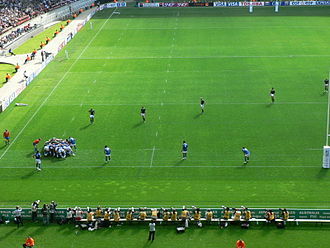 In its most common form, a game is between two teams of 15 players using a ball on a rectangular field with H-shaped goalposts on each try line. Historically an amateur sport, in 1995 restrictions on payments to players were removed, World Rugby, originally the International Rugby Football Board and from 1998 to 2014 the International Rugby Board, has been the governing body for rugby union since 1886. Rugby union spread from the Home Nations of Great Britain and Ireland, early exponents of the sport included Australia, New Zealand, South Africa and France. Countries that have adopted rugby union as their de facto national sport include Fiji, Madagascar, New Zealand, Tonga, Rugby union is played in over 100 countries across six continents, there are 101 full members and 18 associate members of World Rugby. The Rugby World Cup, first held in 1987, takes place four years with the winner of the tournament receiving the Webb Ellis Cup. The Six Nations Championship in Europe and The Rugby Championship in the Southern Hemisphere are major annual competitions. The origin of football is reputed to be an incident during a game of English school football at Rugby School in 1823. Although the evidence for the story is doubtful, it was immortalised at the school with a plaque unveiled in 1895, despite the doubtful evidence, the Rugby World Cup trophy is named after Webb Ellis. Rugby football stems from the form of game played at Rugby School, Old Rugbeian Albert Pell, a student at Cambridge, is credited with having formed the first football team. During this early period different schools used different rules, with pupils from Rugby. Other important events include the Blackheath Clubs decision to leave the Football Association in 1863, despite the sports full name of rugby union, it is known simply as rugby throughout most of the world. World Rugby, previously known as the International Rugby Board until 2014, is the world governing body for the sport of rugby union. World Rugby organises the Rugby World Cup every four years, the sports most recognised and it organises a number of other international rugby competitions, such as the World Rugby Sevens Series, the World Under 20 Championship, and the Pacific Nations Cup. 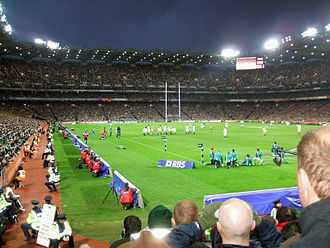 World Rugbys headquarters are in Dublin and its membership now comprises 119 national unions. Member countries must each be members of one of the six regional unions into which the world is divided, Asia, North America and the Caribbean, South America, and Oceania. World Rugby was founded as the International Rugby Football Board in 1886 by Scotland and Ireland, New Zealand and South Africa became full members in 1949. 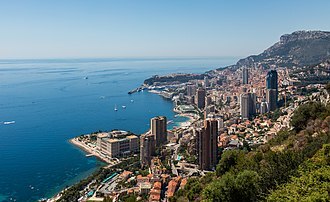 France became a member in 1978 and a further eighty members joined from 1987 to 1999, the body was renamed the International Rugby Board in 1998, and took up its current name in November 2014. In 2009, the International Olympic Committee voted to include rugby sevens in the 2016 Summer Olympics, World Rugby gained membership of the Association of Summer Olympic International Federations in 2010. Until 1885 the laws of football were made by England as the founder nation. However, following a try in an international between Scotland and England in 1884, letters were exchanged in which England claimed that they made the laws. Scotland refused to play England in the 1885 Home Nations Championship, following the dispute, the home unions of Scotland and Wales decided to form an international union whose membership would agree on the standard rules of rugby football. The three nations met in Dublin in 1886, though no formal regulations were agreed upon, England refused to take part in the founding of the IRFB, stating that they should have greater representation, as they had more clubs. The England Union refused to accept the IRFB as the recognised lawmaker of the game and this led to the IRFB taking the stance of member countries not playing England until they joined, and no games were played against England in 1888 and 1889. The forwards are in the scrum while the backs are lined up across the field. Close-up of an MBE from 1945 showing the "For God and the Empire"
South African Victor Matfield takes a line-out against New Zealand in 2006. 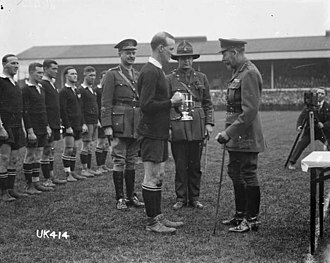 James Ryan, captain of the New Zealand Army team, receiving the Kings Cup from George V.
England before they played in the first international; versus Scotland in Edinburgh, 1871. England versus The Original All Blacks in 1905; the New Zealanders won 15–0. Celebrations at Trafalgar Square after England's 2003 World Cup victory. The England national squad training for the 2007 Rugby World Cup at the University of Bath. A typical game of rugby league being played. Japan playing Tonga in the Pacific Five Nations, 2006. Castle Hotel, Neath, where the WRU was founded. Ivan IV was the Grand Prince of Moscow from 1533 to 1547, then "Tsar of All the Russias" until his death in 1584. The Poles surrender the Moscow Kremlin to Prince Pozharsky in 1612. 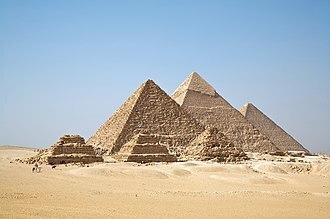 The pyramids of Giza are among the most recognizable symbols of the civilization of ancient Egypt. Homage of Edward I of England (kneeling) to Philip IV of France (seated), 1286. 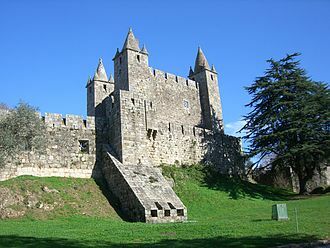 As Duke of Aquitaine, Edward was also a vassal to the French King. Illumination by Jean Fouquet from the Grandes Chroniques de France in the Bibliothèque Nationale de France, Paris. 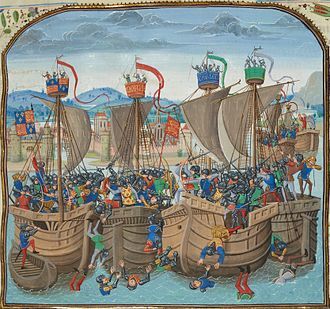 Battle of Sluys from a BNF manuscript of Froissart's Chronicles, Bruges, c.1470. 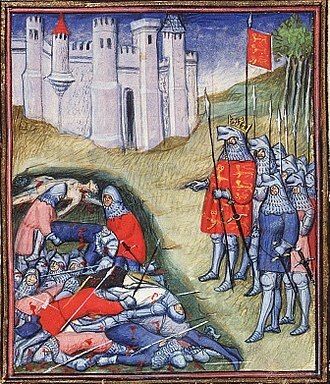 Battle of Crécy, 1346, from the Grandes Chroniques de France. British Library, London. 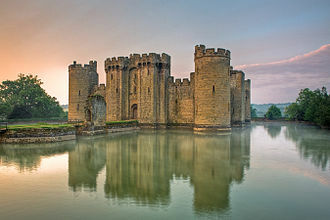 Built in 1385, Bodiam Castle in East Sussex, England, is surrounded by a water-filled moat. The Norman "White Tower", the keep of the Tower of London, exemplifies all uses of a castle including city defence, a residence, and a place of refuge in times of crisis. The bust of Nefertiti from the Ägyptisches Museum Berlin collection, presently in the Neues Museum. Nefertiti worshipping the Aten. She is given the title of Mistress of the Two Lands. On display at the Ashmolean Museum, Oxford. 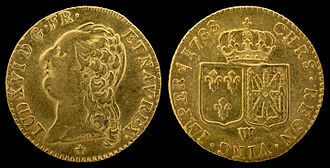 The head of Liberty on the Type 1 dollar resembles that on Longacre's Liberty Head double eagle. 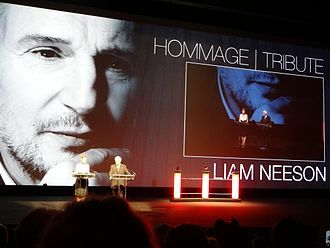 Liam Neeson, Deauville Film Festival, 2012.